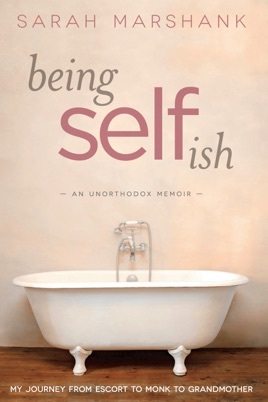 Being Selfish is an inspirational, illuminating, and intimate memoir. Sarah’s unorthodox story, told with unflinching candor and wry humor, will appeal to all those interested in the messy business of finding their unique path and purpose in life. As a child coming of age during the 1960s, growing up in a suburban, mostly Jewish middle-class lifestyle – I immediately saw myself and felt riveted and as I continued reading, with a more than slight deja-vu. Many of us were disillusioned by the dominate culture and struggled with the religious norms and values of the day. She was (we were) wounded both physically and emotionally. She began a spiritual journey at a young age that took her to many places to experience many levels with a dedication that many of us don’t have. Her story is so visual and intimate – it touched my essence in very deep ways. Many of us became seekers, opening to new ways of thinking and being, yet, surprisingly based upon very ancient ideas. Those of us search for a balance between our divine and human components. And yet, here we are attempting to find our truths in the middle of America, in the middle of these tumultuous times. I recommend the reading of Sara’s story (filled with empathy and love / humor in the middle of darkness and filled with inspiration for all) to everyone who finds him/herself looking for answers to the questions we have within.